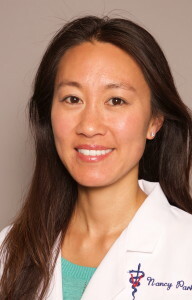 Raised in the suburbs of New York City and educated on the East Coast, Dr. Park relocated to Southern California to enjoy the excellent quality of life, which is what she strives to provide for her clients and their pets. It is for this reason that she began studying complementary or ‘Eastern’ Veterinary medicine as well, to add more ‘tools’ to her tool belt, if you will. To create a balanced and preventative ocular health care plan based on a thorough ophthalmic examination and recognition of each patient as a whole and unique individual.